The Additive Manufacturing industry has been growing and new advancements are being introduced. New 3D printing machines are also being developed to allow different and new 3d printing materials such as plastics, metals (metal AM powders), composites, filaments and more. For industrial additive manufacturing, there’s a wide range of printing materials to choose from. These materials have their own characteristics, strengths and weaknesses. There are important factors such as 3d printing material type, texture, cost, printing technology and process, etc. that need to be considered to avoid mistakes in Additive Manufacturing. It can be difficult to choose the most suitable material for a specific project. Nylon (known as polyamide) is a synthetic thermoplastic linear polyamide and is the most common plastic material. It is a well-known 3D printing filament because of its flexibility, durability, low friction and corrosion resistance. Nylon is also a popular material used in the manufacturing of clothes and accessories. Nylon is known for its durability. It has an excellent strength to flexibility ratio. Nylon has a very little warpage. This type of material can be easily dyed or coloured. Since nylon is hydroscopic, it should be kept dry. It has a shelf life of 12 months. 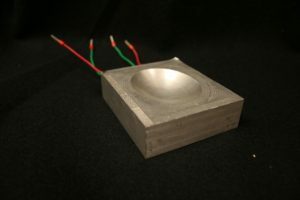 This material can shrink during cooling, thus, prints may be less precise. ABS (Acrylonitrile Butadiene Styrene) is a thermoplastic that is commonly used as a 3D printer filament. It is also a material generally used in personal or household 3D printing and is a go-to material for most 3D printers. It is one of the most accessible and cheap materials for 3D printing. ABS is highly available and has a wide variety of colours. This material has a longer lifespan compared to Nylon. It is also mechanically strong. This material is not suitable for hobbyists. It is only used for manufacturers and engineers who are looking for high-quality prototype production. It requires heated bed when printing. Since ABS materials have high melting point, it has a tendency to experience warping if cooled while printing. This type of filament is a non-biodegradable toxic material that releases toxic fumes with awful smell at high temperature. Resin is one of the most used material in 3D printing. It is mainly used in technologies such as SLA, DLP, Multijet or CLIP technologies. There are various types of resins that can be used in 3D printing such as castable resins, tough resins, flexible resins, etc. It can be used in many applications. Resin materials have high chemical resistance. This material is rigid and delicate. This type of filament also expires. It needs to be stored securely due to its high photo-reactivity. When exposed to heat, it can cause premature polymerization. PLA or Polylactic Acid are made from renewable resources such as sugarcane or cornstarch. It is also called “green plastic”. It is mostly used in primary and secondary schools since it is safe to use and easy to print with. It is also used in FDM desktop printing. PLA is easy to print since it has low warping. It can also be printed on a cold surface. It can print with sharper corners and features compared to ABS material. This material is available in different colors. PLA materials are not very sturdy and can deform when exposed to extreme heat. This type of material is less sturdy. Today, it is possible to 3D print using gold and silver. These filaments are sturdy materials and are processed in powder form. These materials are generally used in the jewellery sector. These metal use the DMLS (Direct Metal Laser Sintering) or SLM process for printing. It has high electrical conductance. Printing with gold and silver are expensive. It takes a lot of effort and time to get it right. Both gold and silver are difficult to work with lasers because of its high reflectivity and high thermal conductivity. Since extremely high temperature is needed to print these materials, a regular FDM 3D printer is not suitable to use. Stainless steel can be heat treated in order to improve strength and hardness. It performs well in high strength applications. It provides strong resistance against corrosion. Building time for 3D printing using these metals are much longer. Printing with stainless steel is expensive. Titanium is the strongest and the lightest material for 3D printing. It is used in the process called Direct Metal Laser Sintering. This metal is mainly used in high-tech fields such as space exploration, aeronautics, and medical field. It provides greater complexity and resolution in design. It offers industrial designers precision in design. It has an average surface roughness. Titanium is also biocompatible and resists corrosion. Titanium 3D printing is expensive. This material is generally used in Binder Jetting technology, SLA (Stereolithography) and DLP (Digital Light Processing). It has high-precision components with a smooth and glossy surface. It has also resistance to acid, heat and lye. Ceramic requires great amount of temperature to melt. It is not suitable for glazing and kilning processes. Since it is fragile, it has limitations in printing objects with enclosed and interlocking parts. It is not ideal for piece assembly process. Like Nylon, PET or Polyethylene terephthalate is also one of the frequently used plastic. This material is used in thermoforming processes. It can also be combined with other materials like glass fiber to create engineering resins. In Additive Manufacturing, PETG is used. It is a modified version of PET where G stands for “glycol-modified”. As a result, a filament that is less brittle, clearer and easier to use than PET is formed. This filament is applicable in FDM or FFF technologies. It is impact-resistant and recyclable. It can also be sterilised. It has an excellent layer adhesion. It has a combined functionality of ABS (temperature resistant, stronger) and PLA (easy to print). The material can be weakened by UV light. It is prone to scratching. More testing with 3D printing parameters is needed. HIPS or High Impact Polystyrene are plastic filaments that are used for support structures in FDM printers. It comparable to ABS when it comes to ease of use. The only difference is its ability to dissolve. HIPS is completely soluble to a liquid hydrocarbon called limonene. It has good machinability. It can also be used to make complex structures. It is very smooth and lightweight. It is water resistant and impact resistant. It produces strong fumes. Thus, it is recommended to be used in a ventilated area. Without constant heat flow, this material can clog up nozzle and delivery tubes of the printer. With proper knowledge equipped and the right materials being used, industrial 3D printing can be done efficiently. As the 3D printing industry grows, more and more materials will be used for making prototypes and will be compatible with different 3D printers. As with any new processes and equipment, there is a steep learning curve and this increases as you move from plastic to metal 3D Printing. If you want to enjoy the ease of 3D printing, you can just outsource to a reliable 3D printing service provider. Nowadays, companies don’t need to do 3D design and printing, mechanical design and drafting, 3D design modeling services and in-house as they all can be done professionally with quality and accuracy by a local 3d printing company. U.S. Additive Manufacturing Skills Gap Is Growing for three reasons?